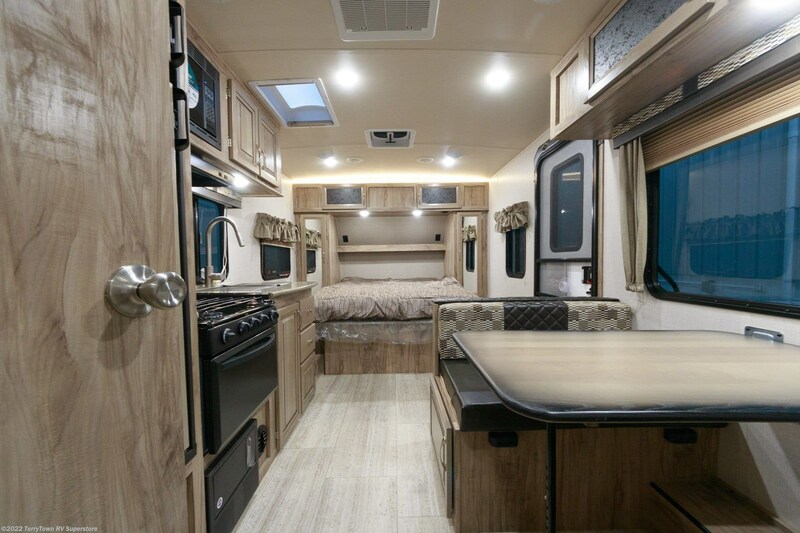 Adventure is out there, so start planning your RV travels today! 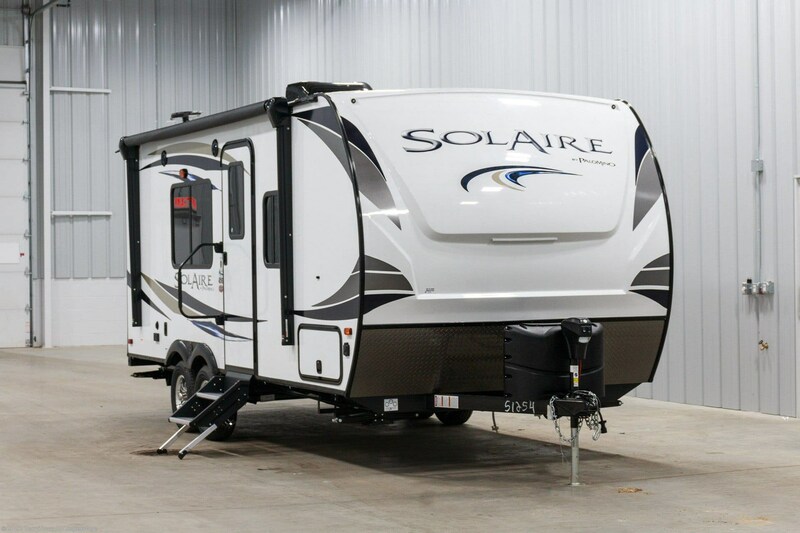 Your first step: Bring home the 2019 Palomino SolAire Ultra Lite 202RB! 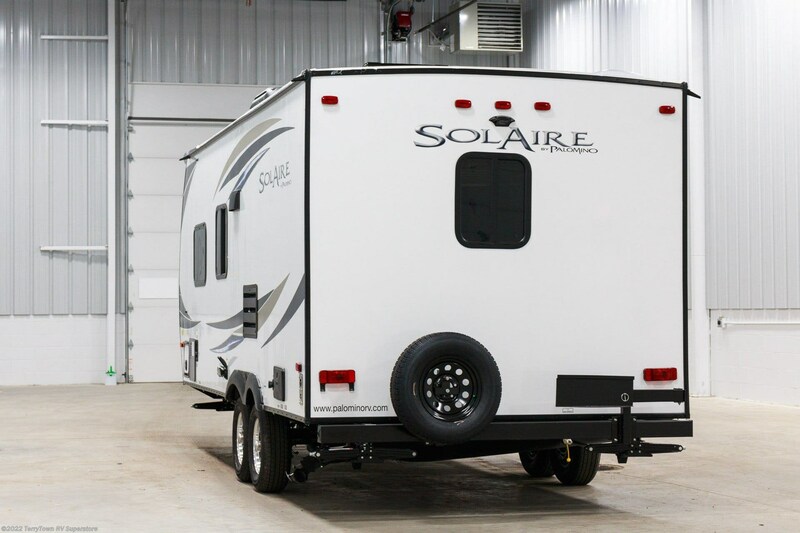 This is a reliable Travel Trailer, and it's full of fun amenities! 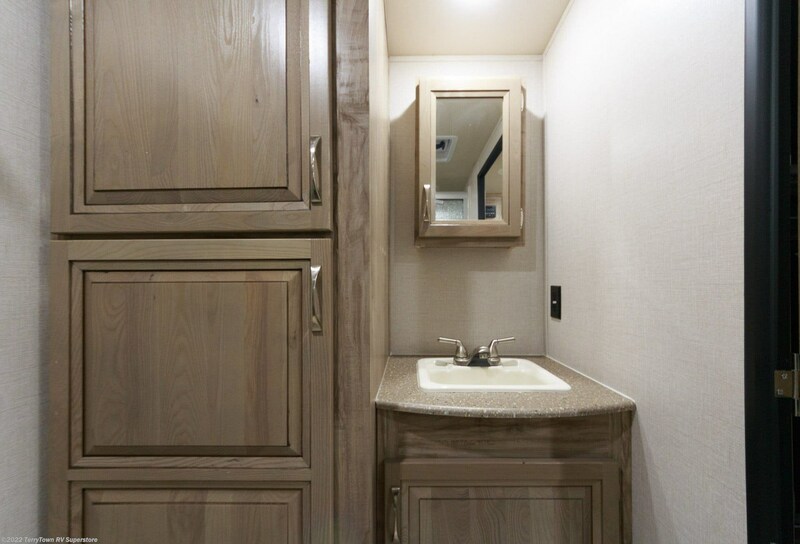 Come on down to TerryTown RV to find this RV for a wholesale price! 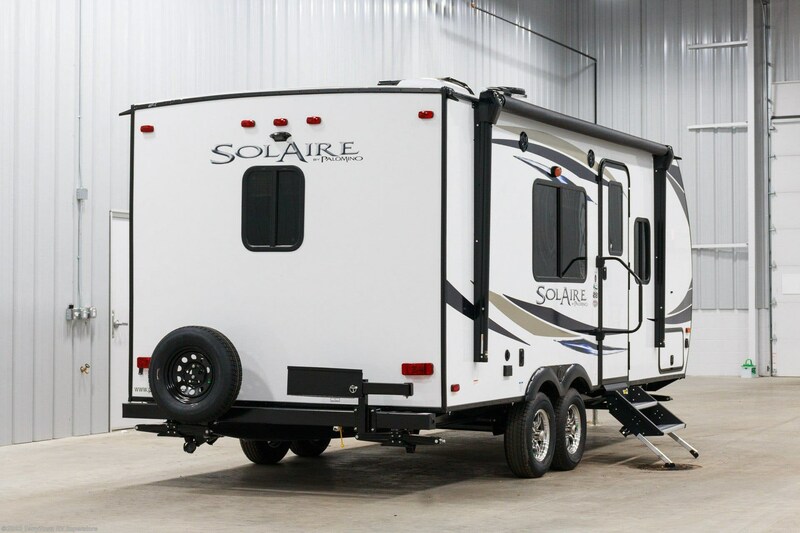 We're located at 7145 Division Ave S Grand Rapids Michigan 49548, but even if you don't live near Grand Rapids or even Michigan, we can bring your dream RV to you with our 24/7 nationwide delivery service! 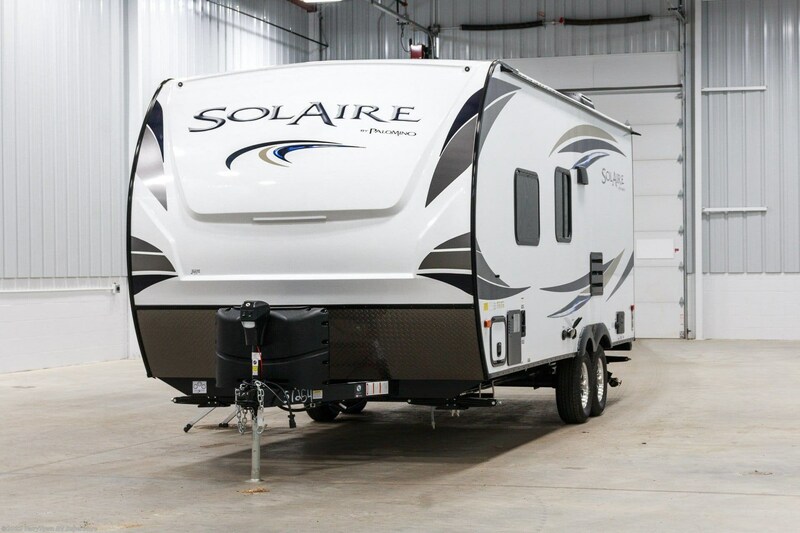 If you would like to talk to one of our SolAire Ultra Lite experts today, give us a call at 616-455-5590! 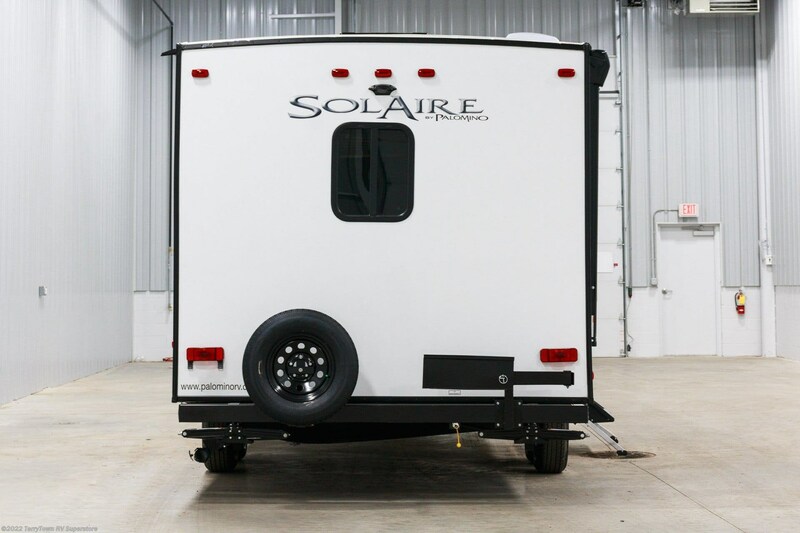 This 23' 5" long Travel Trailer is easy to tow, with a hitch weight of 536 lbs. and a GVWR of 5125 lbs. 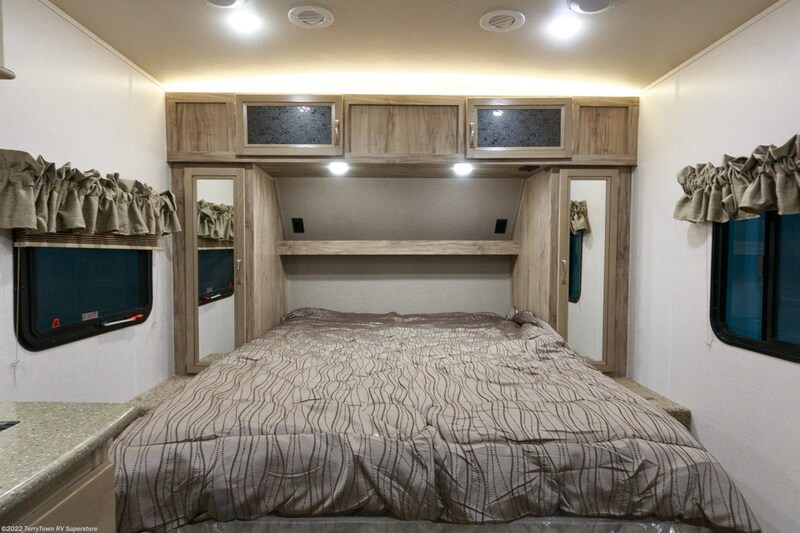 Lounge under the shade of the 14' 0" awning! Sick of s'mores? 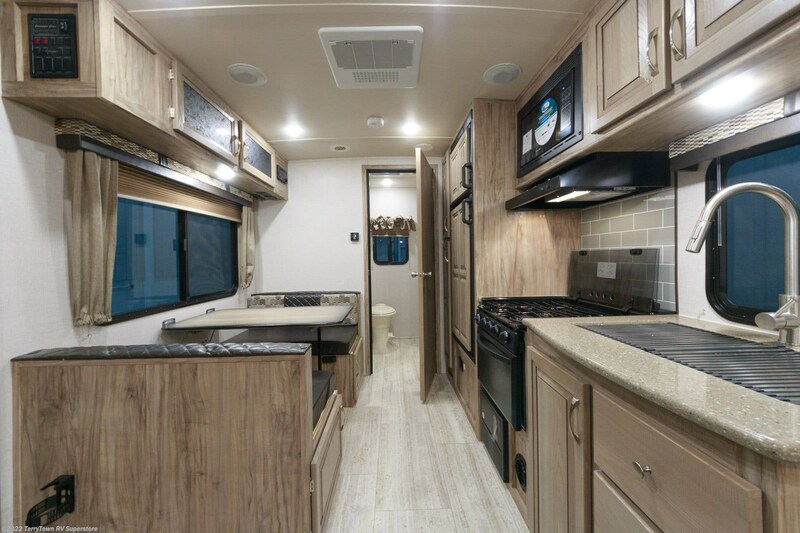 Cook up a real meal with the kitchen's 3 burner range cooktop! The 8.00 cu. 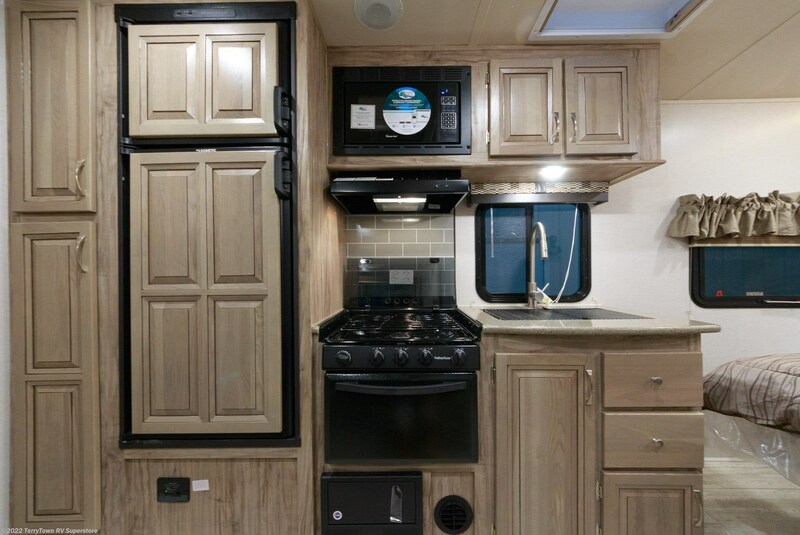 ft. refrigerator can store all of your fresh produce and drinks, so you don't need to drag around a cooler! With the 50 gallon freshwater tank, you'll have plenty of clean, refreshing water for drinking, cooking, and cleaning! You deserve better than the cold, sticky communal bathroom. 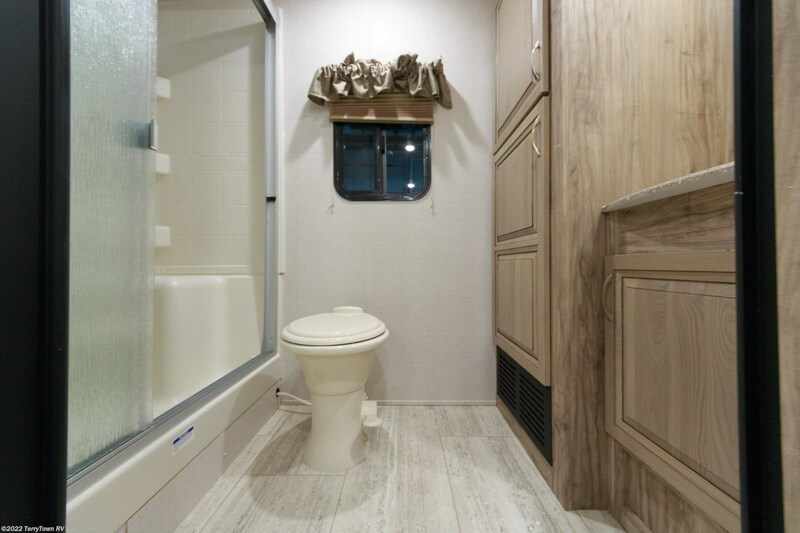 Enjoy the comfort and privacy of your own bathroom, complete with a shower and a Foot Flush toilet! With 40 lbs. 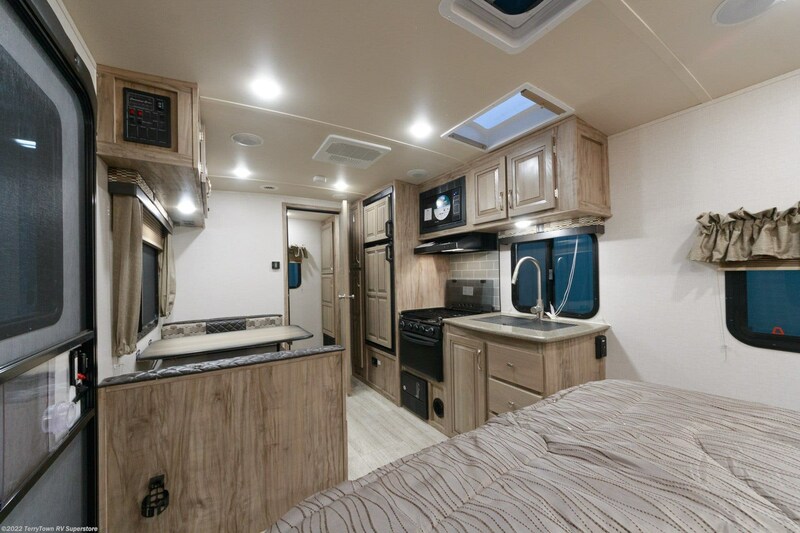 of LP tank capacity, you can enjoy hot water throughout your trip! You don't have to deal with your waste and used water while you're having vacation fun, thanks to the 38 gallon gray water tank and the 38 gallon black water tank. 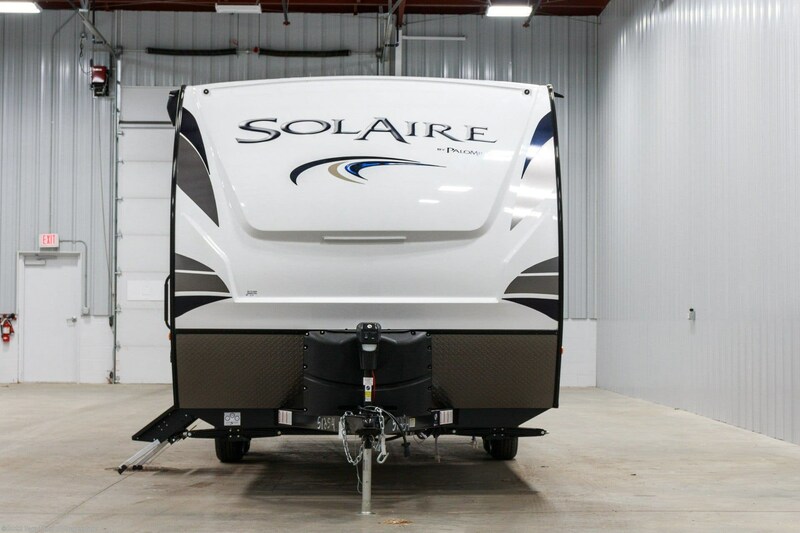 Check out Stock # 34969 - 2019 Palomino Solaire Ultra Lite 202RB on palominorvsource.com!